"Mark Roth sent a package to my office in New York not long ago. He thinks like I do. Everything in my home has its place, every drawer is tidy, every closet organized black to white, short to long. Every cabinet is packed with labels facing out, spices are alphabetized, food in clear containers, Yada! Yada! Yada! You know the story. Reading his materials, I felt as if I’d met my twin. When we made contact with one another, I was certain he had what it takes to bring order where there’s disorder, and even offer a few good tips for the über organized like myself. It's never too late to learn, and it's clear why Mark earned his reputation as a master organizer. I’m one of those people who can deal with a 1,000 things at once, but if my home and office aren’t organized, I can’t seem to get anything done. If you're like me, or need to start from scratch and organize your life from beginning to end, left to right, front to back, Mark can help." 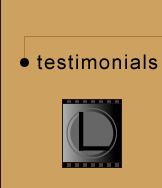 "I highly recommend Mark as a Lifestyle Organizational Consultant. I think this role suits him perfectly. Mark and I worked together on design projects for online Marketing of Motion Pictures. Mark always remained calm, cool and collected, under high pressure deadlines, due to his organizational skills. His talents were put to good use organizing team members, their work space as well as the work load to make certain that projects were completed on time." "I am an attorney with a small practice focusing on business and tax law and consulting. I brought Mark in to help me organize my office, which was in complete and utter disarray. As most people can probably imagine, running a law practice involves a tremendous amount of paperwork. I had papers in piles everywhere in my office; and I had no measurable filing system in place, which made finding important papers, whether they be for clients or for administrative matters, nearly impossible. Mark was able to come in and totally reorganize my office. Not only were the disorganized piles gone, Mark also created an organizational structure that was based upon my needs and my way of thinking, thereby allowing me to stay fairly organized even in intensive document production periods. Disorganization is a major drain on any business, both in terms of inefficiency of effort and of time. Proper organization of space and files has allowed me to spend my time on more productive elements of my practice, which has both increased my income potential and made my time in operating my business more rewarding." "Mark came to my home when I was desperate for some order to the chaos. I am a single parent with two children with some special needs and hyperactivity, and the toys and clutter had overwhelmed the house to the point where every room was stacked shoulder high. 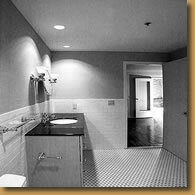 There were only paths to the entrances to the rooms. Mark was successful in helping us restore a living room and a bedroom, and I am pleased that we continue to have a couch to sit on and floor area to play on now. We are a continuing project rather than a completed one at present." "As a design professional and a very organized person up to the point of having children, I was reserved about hiring someone to help me organize. We moved into our present home two years ago but, due to caring for two children and running a business, I was never able to organize the new house. The lack of organization was quite draining. 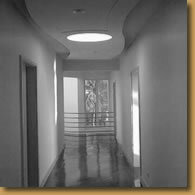 I came upon Mark's website and decided to try his company due to my perception that he appreciated clean modern spaces and good design. I have no regrets. In fact I am very pleased not only with the result of our work together, but with Mark and his process. He was able to work around my schedule, a baby in my lap for 90% of the time and finish my project (the entire house) over a five day period at my request. He is a great mix of being down to business yet fun to work with. His initial time estimate was right on and he is focused and full of great ideas. I'm left with an organized home and a clear head. I will be recommending him to our clients without reservation." 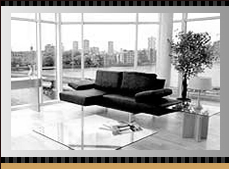 "I am so pleased with the change in my home since Mark worked his magic. Mark asked all the right questions to help me create a system to keep my home organized and functional. The key with Mark is that he creates a system of organization that the client can sustain on their own because he tailors it to your lifestyle and personality. Even with my busy schedule, I have easily been able to keep my home organized with the system Mark created for me. Working with Mark was a great experience." "I couldn't be more thrilled to have found Mark Roth! We were struggling to operate in a business environment which was completely unorganized and, well, unprofessional. Mark came in and within a week had transformed our business environment into something that not only works so much better, but looks great as well. For months I was saying "someday I'll get things organized" but it, of course, never happened. Who has the time? Trust me, hiring Mark was one of the smartest moves I've made." "Where do I begin? My husband and I own three businesses between us and I am also a commercial actor/model. Needless to say our office space was a DISASTER!! Well, you came to our rescue. Your ability to quickly reveal and interpret what we wanted from our space was amazing! You "got" us. By the end of a few hours together, our space looked so professional. My ability to work increased 100 fold! I know where everything is! The true test was tax season, once every piece of paper was pulled out and placed all over the office, it took under an hour to have our office looking spotless! Since you got our office looking so great, we knew you would do the same for two more spaces in our house! (kids playroom and kitchen). Thanks for that....and the great smelling gift (we think of you every time we light it. Our house isn't as small as I thought it was, thanks to you!